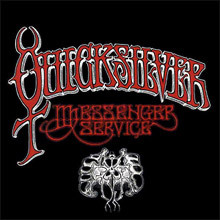 Firmly entrenched in the San Francisco counter culture – they rarely strayed over the State line in fact - Quicksilver won a reputation as hard living rascals with a penchant for firing off rifles at their nearby neighbours the Dead’s ranch squat. This rough image readily translates to the amazing Happy Trails (1969) and its deliciously kitsch cowboy artwork for Globe Propaganda by George Hunter (a member of The Charlatans he) which references Dale Evans out on the range tune penned for Roy Rogers TV show. Side one of Trails consists of Bo Diddley’s ‘Who Do You Love?’ taken down so many avenues that it threatens to explode. Divided in to ‘Who’, ‘When’ Where’ ‘How’ and ‘Which Do You Love’ with a mind-boggling return to the main theme, the band involve walking bass lines, Fillmore West audience participation and avant garde passages that are expertly cut up and edited to Dada effect – not to mention lung busting guitar lines like nothing else on earth. Although this edition of Classic Masters doesn't quite do justice to a band that was at their core an album band, it nevertheless provides a good summary of their five albums for Capitol. Understandably, it concentrates on their first album, with no less than five of these 12 songs deriving from that platter, but it chooses from the other four wisely, resulting in a good, concise overview of the band's peak years. 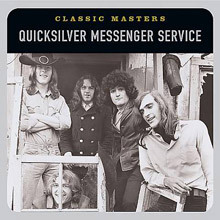 Without question, this follow-up to Quicksilver Messenger Service's self-titled debut release is the most accurate in portraying the band on vinyl in the same light as the group's critically and enthusiastically acclaimed live performances. The album is essentially centered around the extended reworkings of Bo Diddley's "Who Do You Love?" and "Mona," as well as the lesser lauded -- yet no less intense -- contribution of Gary Duncan's (guitar/vocals) "Calvary." This album is the last to feature the original quartet incarnation of QMS. The collective efforts of John Cipollina (guitar/vocals), Greg Elmore (percussion), David Freiberg (bass/vocals), and the aforementioned Duncan retain the uncanny ability to perform with a psychedelic looseness of spirit, without becoming boring or in the least bit pretentious. The side-long epic "Who Do You Love?" suite is split into an ensemble introduction and coda as well as four distinct sections for the respective bandmembers. The perpetually inventive chops of QMS are what is truly on display here. The musicians' unmitigated instrumental prowess and practically psychic interaction allow them to seamlessly weave into and back out of the main theme. Yet all the while, each player takes center stage for uncompromising solos. "Mona" and its companion, "Calvary," continue in much the same fashion. Here the members of QMS play off each other to form a cohesive unit. This track also contains some of Cipollina's finest and most memorable fretwork. He is able to summon sonic spirits from his guitar in a way that is unlike any of his Bay Area contemporaries. A prime example of his individuality is the frenetic "Maiden of the Cancer Moon" -- ascending from the remnants of "Mona." The angst and energy in Cipollina's guitar work and line upon line of technical phrasing could easily be considered the equal of a Frank Zappa guitar solo. The brief title track, a cover of Roy Rogers and Dale Evans' "Happy Trails," seems almost insignificant in the wake of such virtuoso playing. It clears the sonic palette and also bids adieu to this particular fab foursome of psychedelia. 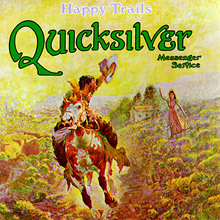 Quicksilver Messenger Service's debut effort was a little more restrained and folky than some listeners had expected, given their reputation for stretching out in concert. While some prefer the mostly live Happy Trails, this self-titled collection is inarguably their strongest set of studio material, with the accent on melodic folk-rock. Highlights include their cover of folksinger Hamilton Camp's "Pride of Man," probably their best studio track; "Light Your Windows," probably the group's best original composition; and founding member Dino Valenti's "Dino's Song" (Valenti himself was in jail when the album was recorded). "Gold and Silver" is their best instrumental jam, and the 12-minute "The Fool" reflects some of the best and worst traits of the psychedelic era. 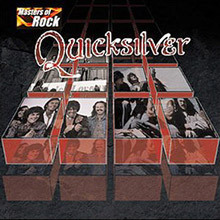 This collection spans the bands first five albums Quicksilver Messenger Service, Happy trails, Shady Grove, Just for love and What About Me and includes some tracks such as 'Who Do You Love', 'Mona', 'What About Me' and 'Pride Of Man'. Jamming With Edward! is an album recorded by three members (Mick Jagger, Charlie Watts, and Bill Wyman) of The Rolling Stones with Nicky Hopkins and Ry Cooder at London's Olympic Studio during the Let It Bleed sessions of 1969 and released on Rolling Stones Records in 1972. The album is a series of loose jams the band performed while waiting for Keith Richards to show up to the studio. On the strength of the band's association with the album, Jamming With Edward! reached #33 on the US charts, although it failed to reach the UK listings. 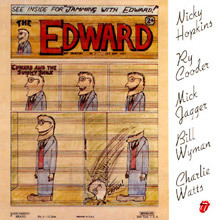 The eponymous Edward was pianist Nicky Hopkins, in reference to Edward the Mad Shirt Grinder, Hopkins' star turn on Quicksilver Messenger Service's album Shady Grove. Hopkins also contributed the cover art.